For others, it’s a niggling feeling that never completely leaves. Everything you do at your job is done in preparation for your business, even when you haven’t really considered starting a business. You’re already thinking like a businessperson and you feel like you’re just waiting for the right moment to start your new life as an entrepreneur. When it’s such a common thought, why is it that, for most people, the dream of starting a business just stays as precisely that – a dream? It’s especially mindboggling when there are so many resources and tools out there to help out startup entrepreneurs, and a lot of them for free, too! The word “business” scares you. For those without any educational or professional background in business, the word itself can feel intimidating. It seems like this mystery world where everyone in the industry seems to know what they’re doing and all walk with a purpose. What is business, anyway? What does it involve, and what do these “businesspeople” talk about? Luckily for you, the days of the suit-and-tie wearing, briefcase carrying and cigar smoking business world is long gone. Owning and running a business no longer seems exclusive to those with a Master’s degree in business or finance. And when you actually take your time to learn some of the components in business that intimidate you, you’ll soon realise that everything in business is just common sense. For example, common sense concepts such as “the profit gained compared to how much you put in” are shortened as ROI (return on investment). Concepts need shorter and easier terms, and these terms can seem like intimidating jargon, but there is nothing that you can’t learn when you put your mind to it. Plus, you don’t necessarily need a lot of high level business-related knowledge to start and operate a small business. You just need to know how your business works. Check out: "How to Overcome the Fear of "Business""
You don’t understand what your business is about. When your business is just an idea that resides inside your head, it’s not uncommon to find yourself bouncing between ideas and trying to manage the multiple lightbulbs that are going off in different directions. This is what makes you a go-getter and entrepreneur material. You have an endless supply of ideas and everything deserves your consideration. What started with one simple idea spreads into several potential revenue streams. It can get confusing and have an adverse effect on your motivation, though. You just don’t know what exactly your business will be focused on. What problems will it solve? Whose problems will it solve? And what does it take to get rid of this roadblock stopping you from starting your own business? It’s simple. Write down your ideas; Do some research and write a simple business plan. Once you’ve got your ideas laid out in front of you, or as you’re writing them down, you’ll find it easier to organise and make sense of your thoughts. Check out: "How to Understand Your Business Purpose"
You don’t know if your idea is good or feasible. Similar to not being able to pinpoint the exact purpose of your business, what follows is another roadblock that can drag down your motivation: Will your business work? Even when your business idea isn’t a unique, never-been-done-before concept, it can seem unfeasible. For example, will your Japanese restaurant be popular in the Greek precinct of your city? This feasibility mental roadblock can be a tricky one. We can tell you to just trust your instinct and go for it, but you won’t. You need confirmation that it will work and that you won’t just be wasting your money and time away for an idea that wasn’t even feasible. So, what do you do? You need to help yourself. Do some research and see if there are existing businesses with a similar concept. Are they mostly small or large businesses? How are they perceived by the public? One thing to keep in mind here, that is perhaps more important than the confirmation relief that comes from research, is that you’re not bound by your initial decisions. There is no police out there following every business move you make and giving you a fine every time you stray from your initial business ideas. If, in the startup phase of your business, you find that your idea won’t work as well as you thought, there is always room to change it. Big multinational companies do that, too! Just look at Twitter, originally Odeo, who changed its direction from a podcast subscription network to a micro-blogging platform, when iTunes started to take over the podcast world. Check out: "How to Test the Feasibility of Your Idea"
You don’t know why anyone would use your services out of the competition. Another common roadblock that can stop you from taking a leap to start a business is the concern that nobody would buy your products or services. Why would they? It’s most likely that there are multi-million dollar companies that are doing the exact thing that your business is trying to do. They have years of experience and all sorts of experts working in their company. Why would anyone choose you over them? Or over any other small to medium size businesses around you? There are a number of ways to quickly overcome this roadblock. First, go outside onto the main street and just observe the shops for a few seconds. Do you just see one shop per industry? One restaurant, one clothing store, one supermarket…? Probably not. Even more reassuring, it’s actually not that uncommon to find two 7/11s one block away from each other. The exact same store, same colours and layout, and same products, one minute down the road from the other. Another way to overcome this is to think about it in terms of confidence. You know when you’re having a fat day or a bad hair day, but no one ever notices the difference? The same thing applies to businesses. Unless something really stands out, the public generally doesn’t read too much into the same kinds of services that are offered by completely different companies. Nobody is thinking, “I’m not going to shop at X. The owner doesn’t even have a Bachelor’s degree!” Sure, competition is an important factor to consider when starting a business, but the focus is on studying and managing the competition and targeting the right market for your niche, not on avoiding competition at all costs. Check out: "How to Overcome the Fear of Competition"
You don’t have enough capital to fund the startup stage. This is perhaps the biggest and most common roadblock that aspiring entrepreneurs give as the reason why they haven’t started their own business yet. Of course, any grand business idea starts with investment. And although there are the rare success stories of companies that started from nothing, we all know that the reality of life means we’re more likely to be the norm rather than the exception. This reality doesn’t mean that you can’t work your way up to become the exception, but it’s important to consider some of your other options. You can try crowdfunding and let the potential customers actually help you start your business ventures. You can prepare a killer business plan and approach potential investors for funding. You can even consider your options and change your business idea to suit your financial situation. There are always ways to cut costs in everything you do. Start with a home office if your business idea allows it, and instead of buying all brand new shiny everything, consider which areas you can get away with using good-enough equipment that will do the job. The most important thing you need to do in order to overcome this roadblock, however, is all in your mindset. You need to understand that you’re most likely going to struggle in the beginning. Your expectations need to be managed and your business plans need to be aligned with those expectations. Learn how to live lean, and work hard. Really hard. With the realistic mindset that you’re not likely to make big profits overnight, you’re less likely to run into the emotional stress and disappointment. And you learn to be more resourceful along the way. Check out: "How to Get Funding for Your Startup"
You don’t know how to use the money. Another roadblock to starting your own business can be that you’re not sure what to do with the money that you have. Whether you have a lot or very little, without an endless supply of it, startup entrepreneurs have to be smart with money. And when you can’t predict the future, you just don’t know if you’re making a good investment by buying a product that your business might need down the line. It’s simple. Apply common sense and don’t overthink the spending just because it’s “business”. Investing in anything could potentially make or break your business, but that doesn’t mean that your general financial management sense needs to go out the window. For example, when spending your money, consider whether or not it’s a recurring payment that you can afford each month. And don’t just go with the most popular products. Are there any cheaper alternatives? For a big purchase, consider if it’s refundable and what its resell value could be. It’s important to understand that by being frugal, you’re not setting up strategies for failure. You’re being cautious and resourceful. Having confidence that your business will surely work out doesn’t mean that you shouldn’t put in any measures to prepare for little errors along the way. Check out: "How to Use Your Money in the Setup Phase"
You feel overwhelmed by the available information. With so much information out there to help aspiring entrepreneurs, it is not surprising to feel quite overwhelmed. Which website should you read articles from? The advice given are slightly different between two different sites; Which one should I go with? Should I avoid American business advice sites altogether? Try looking at it in a different way. Instead of trying to absorb every single piece of information you come across in one sitting, make a list of the most important points you learn and just focus on those. And be grateful for the fact that if you ever need to know about anything, the information is there for you, for free. Another thing you could consider is talking to a consultant in person, who will share with you only the information that is relevant to you. Check out: "How to Do Market Research for Your Idea"
You don’t have a proper goal. Another common roadblock that entrepreneurs experience is that their goals aren’t exactly clear in their minds. No, not the business goals, but your own goals. Why do you want to start a business? What are you trying to achieve by taking this big step? When you have a goal, everything else seems to follow a lot more easily. After all, you can’t set plans without a goal. And without any plans, you can’t take action that’s well thought out. The answer? Set a goal. The goal doesn’t need to be anything charitable, great or honourable. It just needs to resonate with and mean something to you. Who is to judge you if what drives you is the idea of becoming a millionaire and living like a king or queen? And if your goal is to help the poor or make the world a better place one step at a time, why not? Once you’ve set the goal and the core desire of your life mission, the planning process around your business idea will become much more clear. Purpose is essential. Check out: "How to Set Personal Goals for Your Business"
You don’t want to start a business. Seemingly the most obvious roadblock to starting a business, but not one that you might have identified, is the fact that you might not actually want to start a business. You think you want to, and you think you’re ready for it. However, it’s possible that if you really wanted it, you might have already done it. You might have already become an entrepreneur. When you really want and need something, you’ll make it happen. The mind is a powerful thing. If you find yourself making excuses after excuses, and being able to find a way to reject every suggestion given to you to overcome those excuses, your heart might just not be in it. 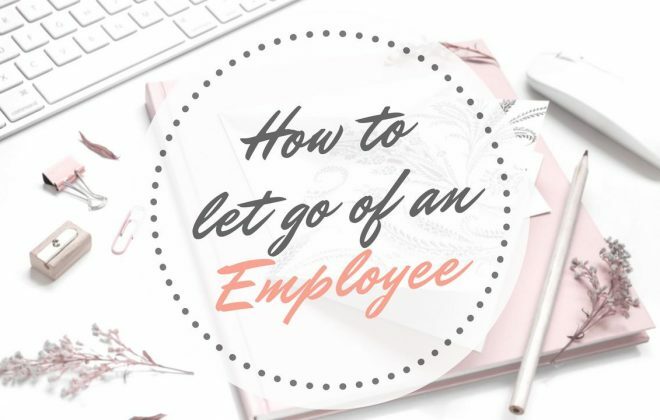 It could be that you’re just extremely unhappy at your job and what you really want is to not be there. It could be that you once wanted to start a business, and you’re tied to the idea that you’re meant to be an entrepreneur. Whatever it may be, it won’t happen if you don’t want it to.